Arena Marketing Systems was founded over 15 years ago as a critical part of Arena Sports. Arena Sports has four facilities it operates in Western Washington; Seattle-Sodo, Seattle-Magnuson, Issaquah, and Redmond. 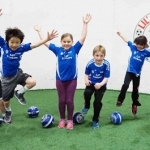 As one of the best indoor soccer businesses in Washington State, we measured success by creating great marketing programs and systems to generate revenue and help retain customers. During the last 15 years of business, Arena Marketing Systems has had its fair share of failures and successes. That experience is invaluable and we can now offer it to other facility operators and owners. No need for trial-and-error, we have done it all, from print, digital, social media and events. Let our experience help your business. The evolution of marketing and advertising is ever-changing in this fast-paced world we live in. To keep up with that change Arena Marketing Systems is constantly testing and evolving as well. We work with the latest social marketing tools and exploring new forms of marketing. We study how to improve current marketing mediums to work for all types of businesses and situations. The staff of marketing experts at Arena Marketing Systems is excited to extend our services and experiences to our customers to improve their lead generation, lead conversions and ultimately to help them improve their top line revenues. 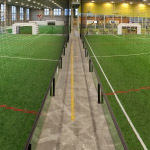 Arena Marketing Systems is a digital marketing agency with over 15 years of industry experience helping countless companies across North America in the Indoor Sports Facility Management marketplace. Creating marketing plans and other marketing strategies to cultivate growth.